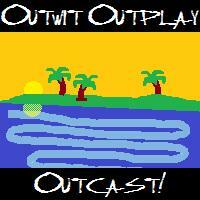 Outwit, Outplay, Outcast Summer Special! – Outwit. Outplay. Outcast. Outwit, Outplay, Outcast Summer Special! After a long break and many false starts, we finally bring the band back together and hit record! Andy, Brian, and Nick catch up on what they did this summer and share their thoughts on the upcoming Cambodia season, as well as discuss their favorite player archetypes. As a fun little game, see if you can figure out who did the recording based on the sound levels! …This’ll get sorted out by the start of the next season, promise! Next Next post: S31E00 – Draft Day!